We will be doing trail maintenance on the Dixon Merritt Trail. we will have equipment for you to use. Meet us at 9:00 am at Shelter 1. Lunch will be provided by the Friends of Cedars of Lebanon State Park at 12:00 pm. We hope to see you in the cedars! 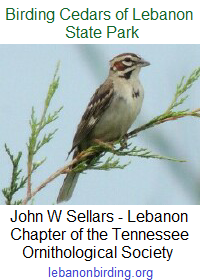 This entry was posted in Announcement, Public Notice, Volunteer Projects and tagged Cedars of Lebanon State Park, friends of cedars of lebanon, tennessee state park, trail clean-up, volunteers needed. Bookmark the permalink.